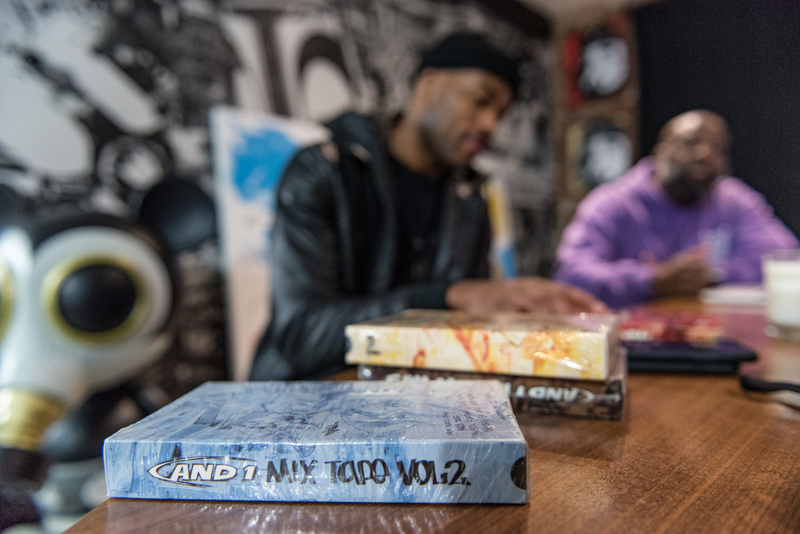 A copy of the And 1 mixtape series next to Jarrett Jack of the New York Knicks and DJ Set Free at The Compound. 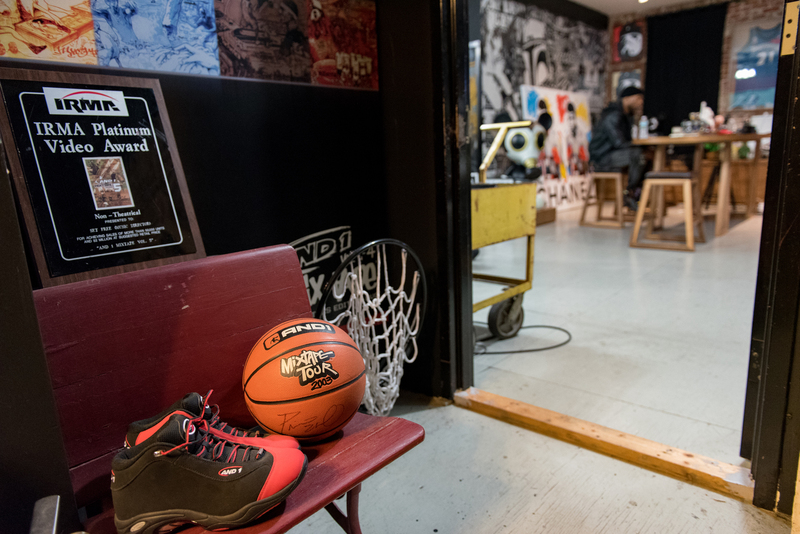 The groundbreaking streetball series mixing hip-hop with ostentatious displays of skill became the blueprint for future NBA players such as Jarrett Jack, Iman Shumpert, Kevin Durant and countless others. 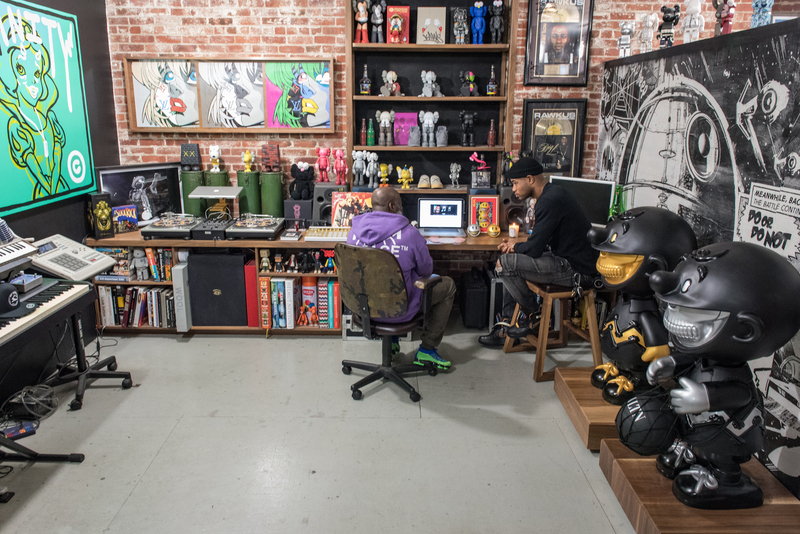 Jack remembers pooling his money with a friend to buy one of the Volumes and watching it every day after school and practicing and mimicking the moves he saw on the VHS tape. 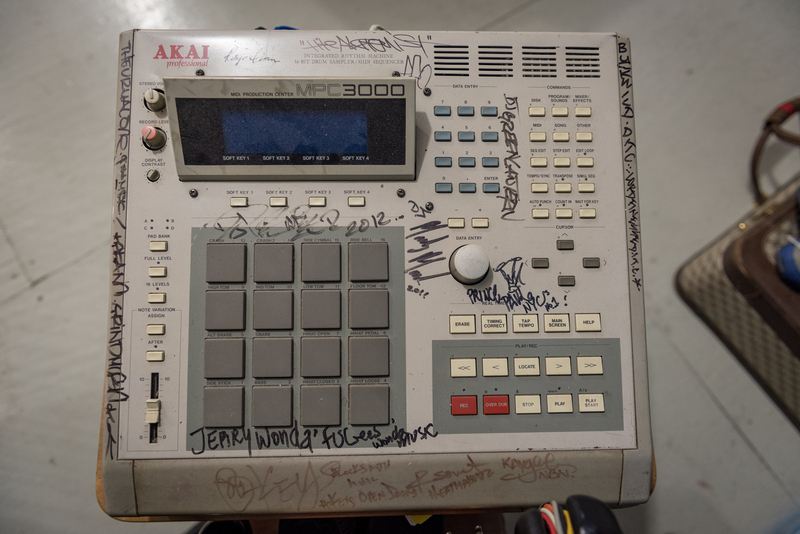 After working on six of the 10 volumes and inspiring a generation of future basketball players, the marketing executive moved on to his next creation, The Compound, a studio, incubator and creative space for his marketing firm, The Oval Co.
An Akai MPC 3000 signed by some of the best DJs in the industry. 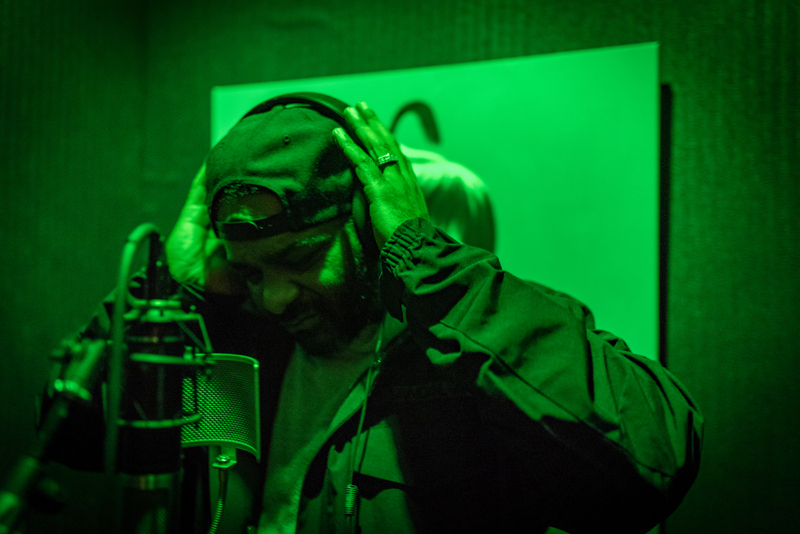 Jim Jones in the recording booth at The Compound. 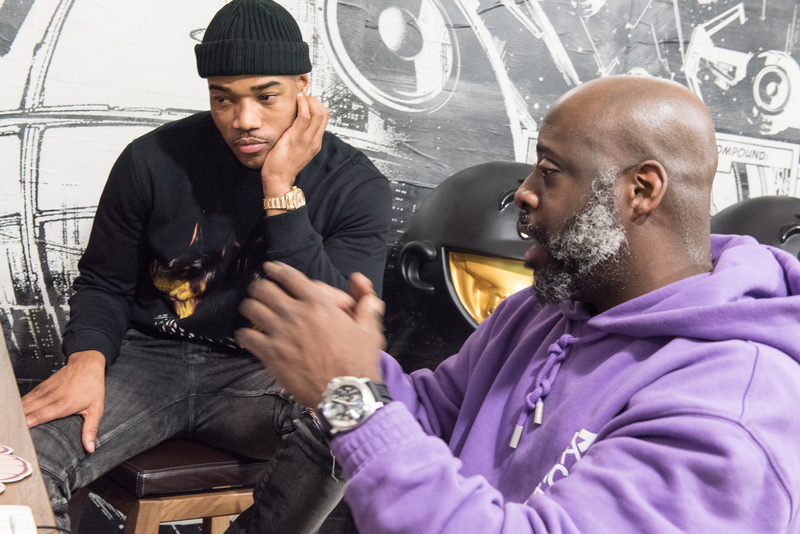 DJ Set Free with Jarrett Jack of the New York Knicks at The Compound going through some of the footage from the And 1 series. Skate board decks by Supreme, Kith, Wu-tang and other labels. 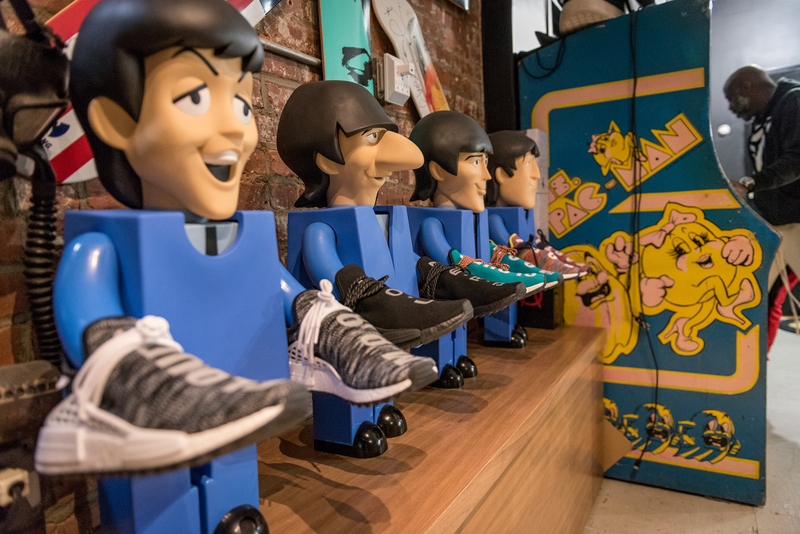 Medicom Toy Kubric Beatles “Can’t Buy Me Love” 1000% set with the Pharrell Williams x Adidas Tennis sneakers. 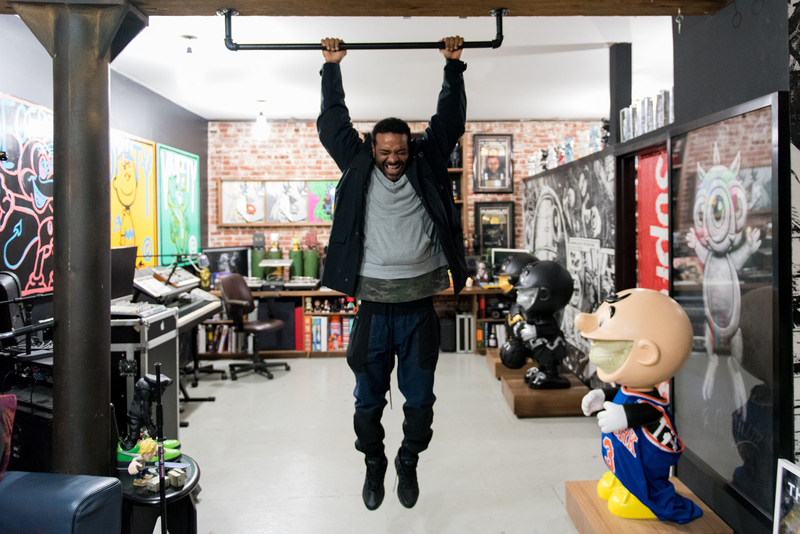 Jim Jones looks does his customary pull ups at The Compound. 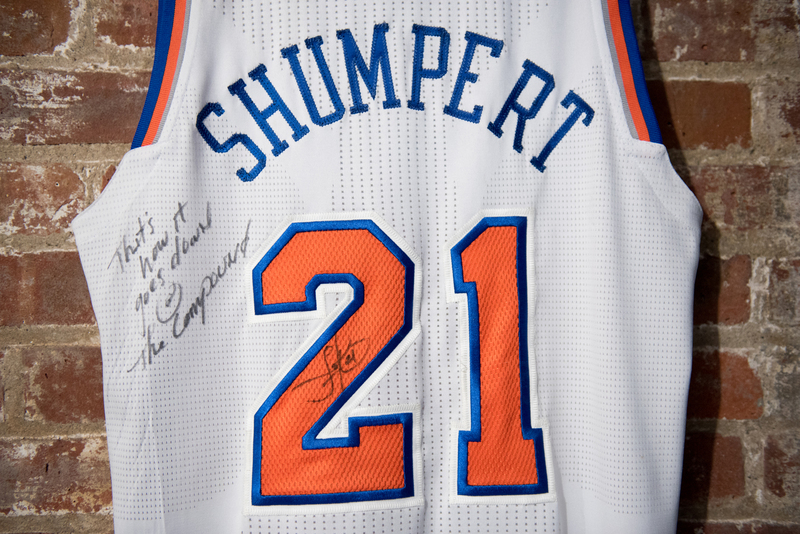 Iman Shumpert autographed jersey dedicated to The Compound. DJ Set Free with Jarrett Jack of the New York Knicks talking about the And 1 Mixtape series. 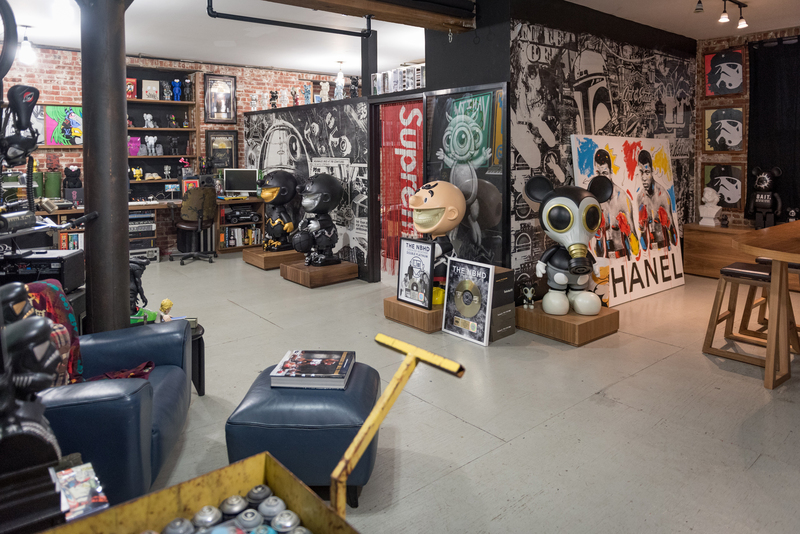 A wall dedicated to the And1 mix-tape series that DJ Set Free created.